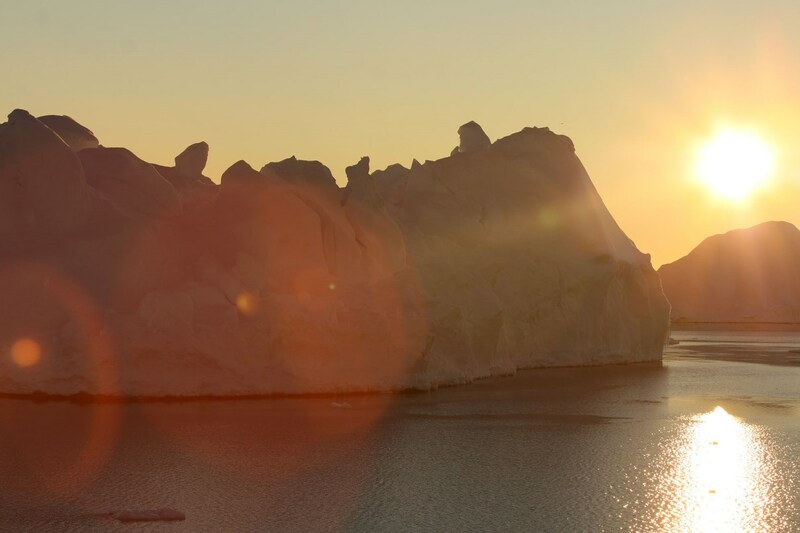 Global climate change is a man-made hazard that affects us all. Nowhere is its impact so far-reaching as it is at both the South and North Pole. 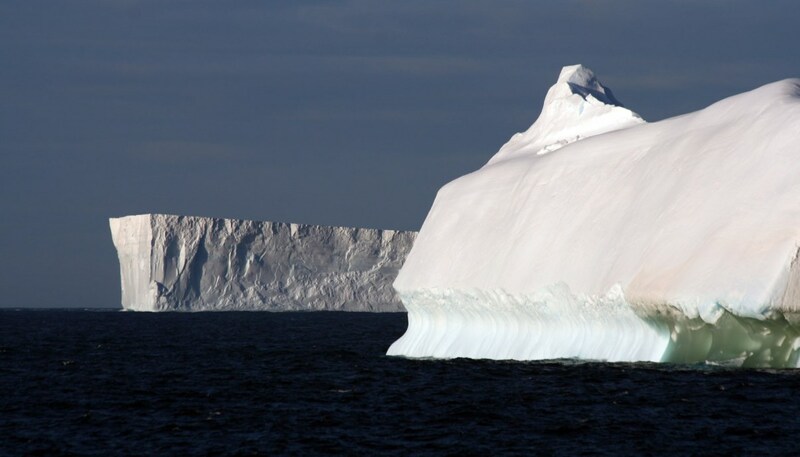 There are many negative effects, but large-scale melting of ice sheets and a subsequent rise in sea water level are the most conspicuous. 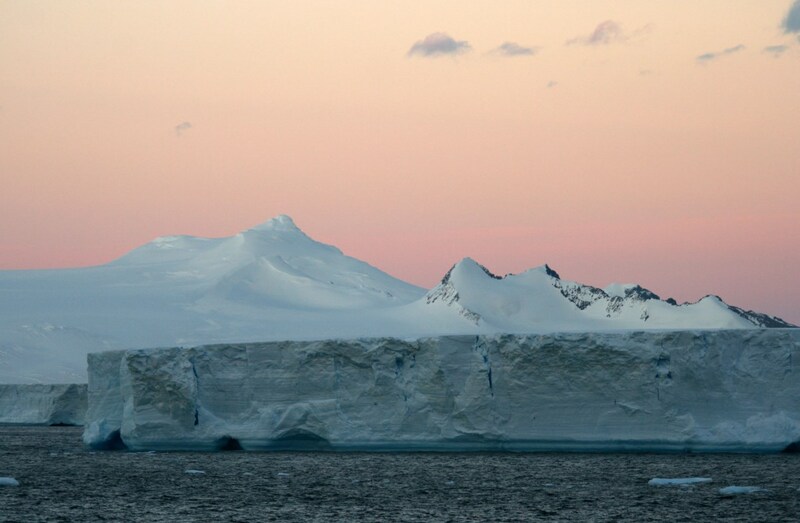 In Antarctica, especially the Antarctic Peninsula is influenced by an increase in temperature, resulting in large-scale ice shelf collapses. 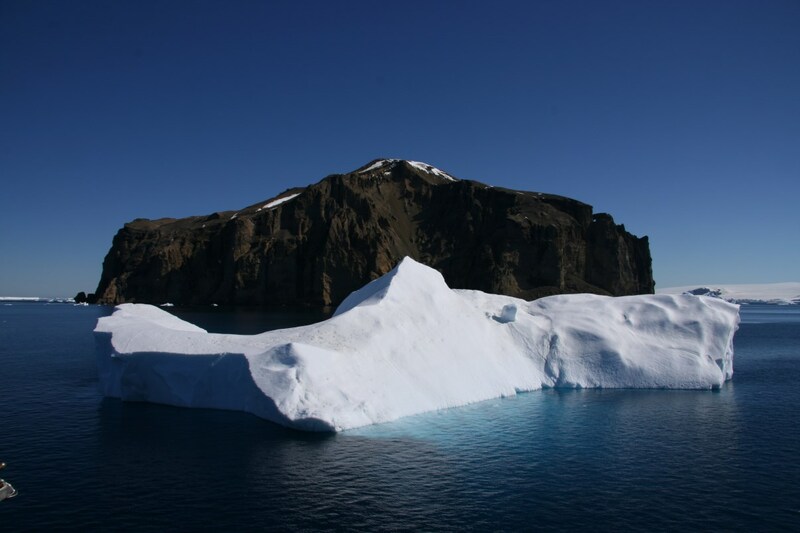 Major ice shelf destruction occurred e.g. 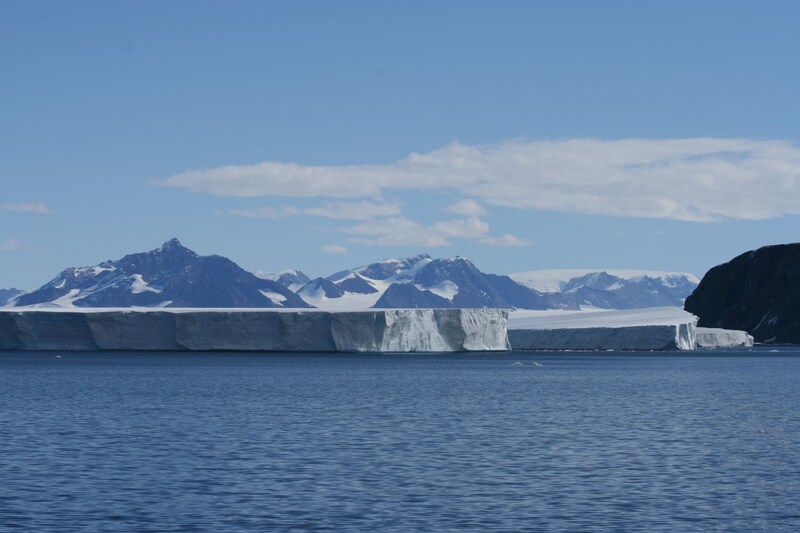 in 1995 (Larsen A ice shelf) and 2002 (Larsen B ice shelf). 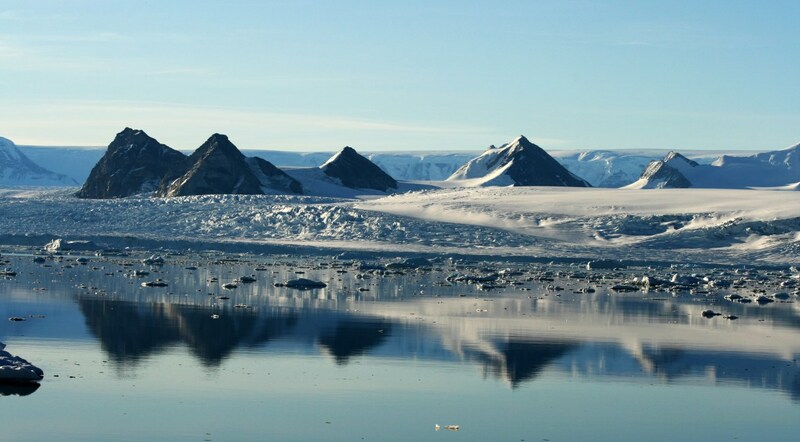 The Larsen B area, originally a region fully covered by sea ice, completely collapsed between January and March of 2002. 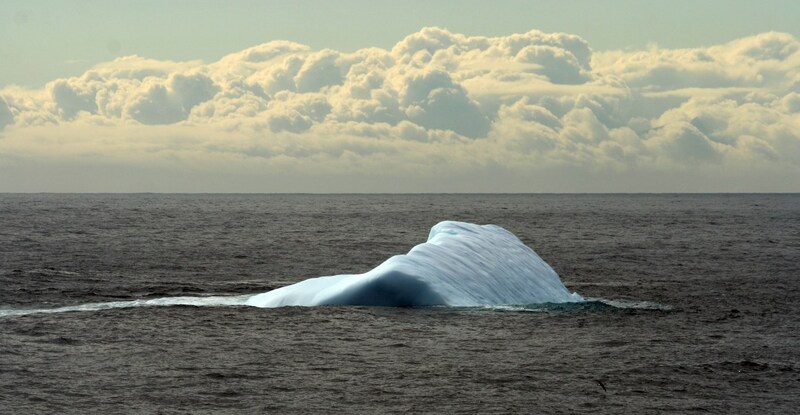 It only took 1 month to destroy this 10000-year old, 220m thick ice shelf roughly the size of Rhode Island (3250km²). Although such events are very regrettable, they also open up opportunities for research. The Larsen B ice shelf has completely disintegrated and broken up into smaller (but that’s relative, of course) icebergs, so the area now mainly consists of open water. Scattered pieces of floating ice in Larsen B. 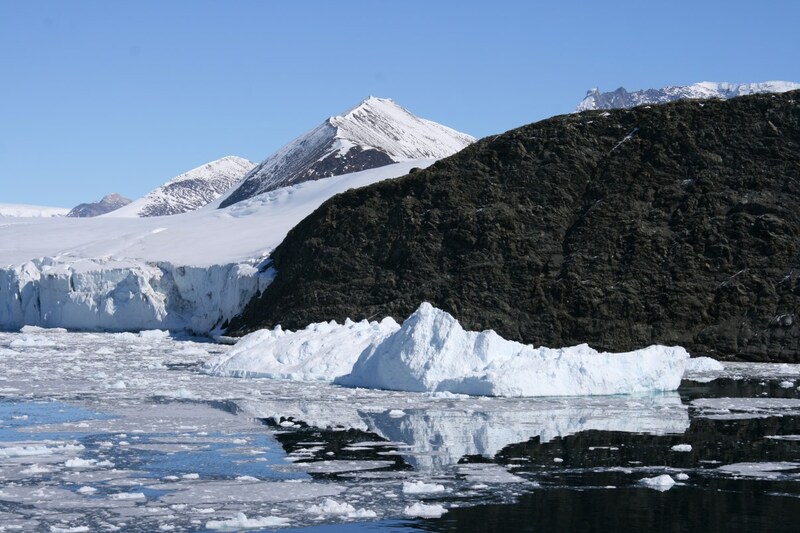 This means it is now possible to reach Larsen B by ship and carry out some sampling of the sea floor and its inhabitants, which had been living underneath an ice cover for thousands of years. And that’s just what we did in January 2007! 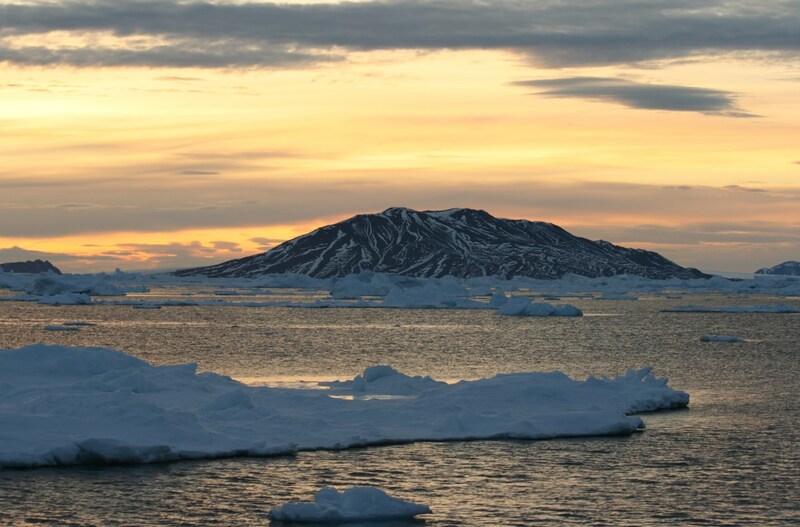 We had crossed the Weddell Sea and reached the Peninsula two weeks before new year 2007. 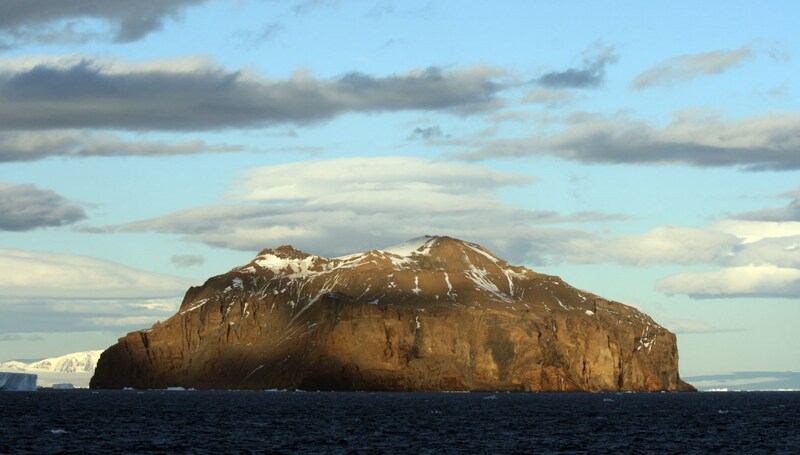 First sampling with the multicorer (MUC) was carried out around Elephant Island and was rather successful. The area was superb, with small islands and beautiful sunsets. 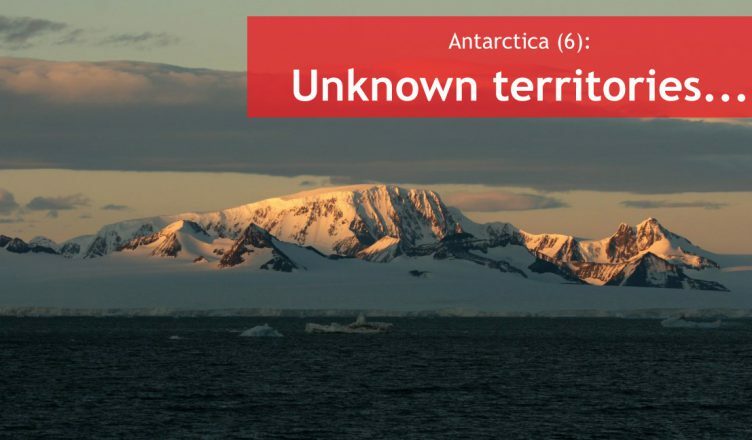 On 30/12, we left Elephant Island and headed for King George Island to visit Jubany, a scientific research station (since 2012, it is known as Carlini Base). Floating ice near King George Island. 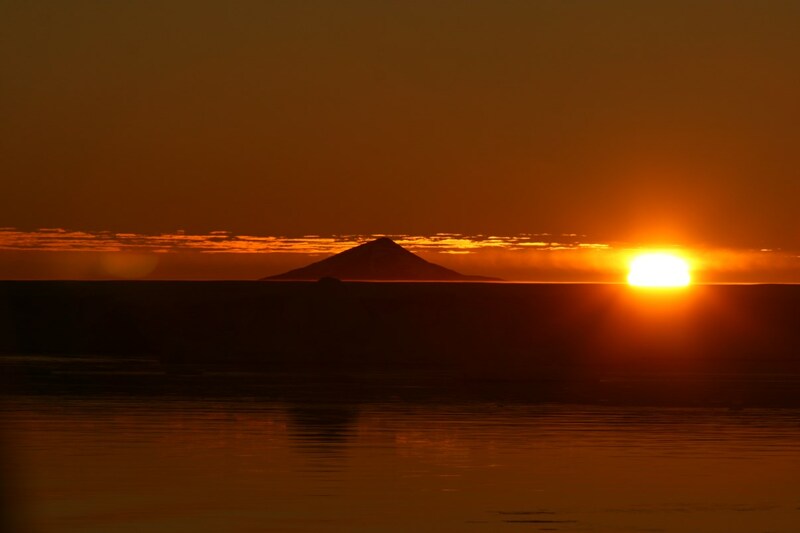 “(…) The weather was good and last night we departed from Elephant Island and left for King George Island. 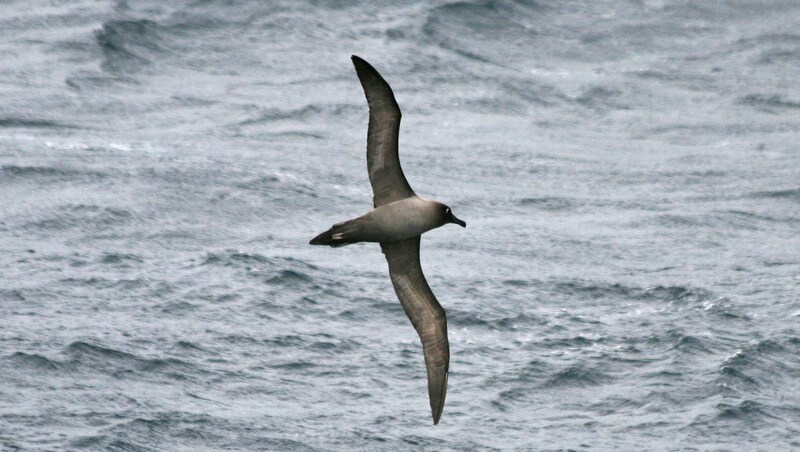 The sea is also much more rough now: we are really crossing the Drake Passage now! High waves and a lot of movement of the ship, but also a very high diversity of sea birds! (…) I also saw two Humpback Whales jumping out of the water today! “(…) New Year’s Eve. 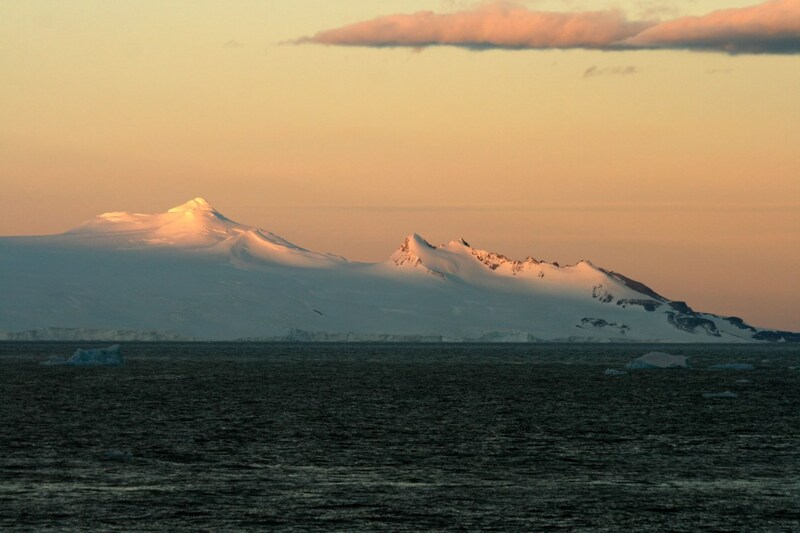 Beautiful weather again, and we had the most wonderful view of King George Island. (…) We went back to our cabin, but suddenly we received a phone call from one of the whale-ladies to tell us there were numerous whales to be seen. We rushed to the ship’s bridge and stayed there for 2 hours to watch the whales. We counted 25 of them! One sighting after the other, it was difficult to keep up with them. Humpback Whales and Minke Whales, sometimes far away and sometimes very close to the ship. We could sometimes see the whale’s dorsal fin and fluke (tail fin)… (…) The New Year’s Eve festive banquet consisted of roasted pig, cold meat, cheese and lots of sausages. (…) The new year arrived after the traditional countdown, followed by a loud blast from the ship’s horn. 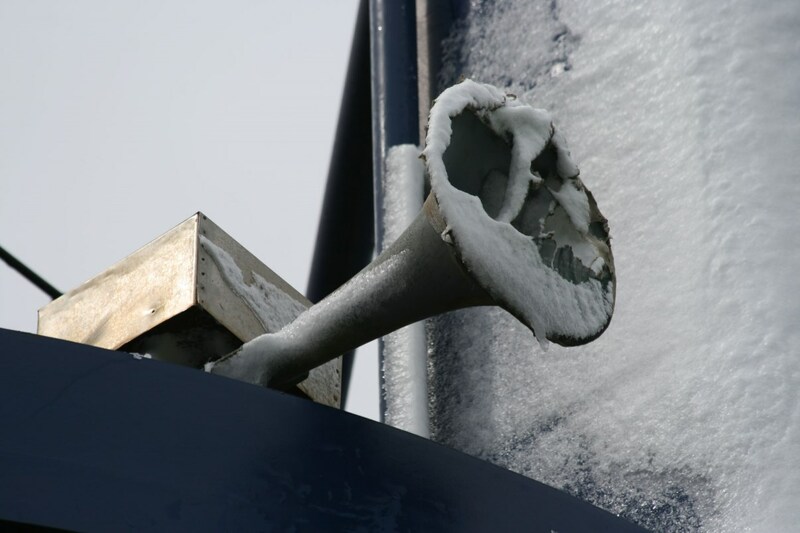 Ship’s horn in the snow. 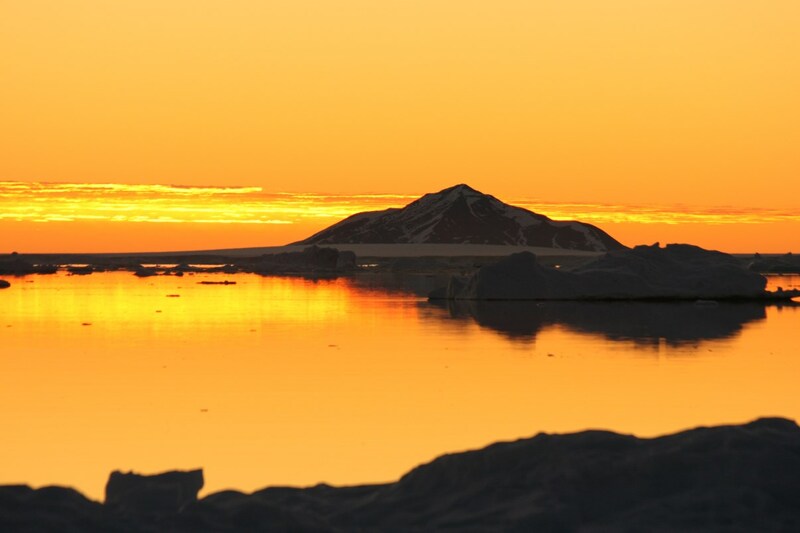 Sea ice near the Antarctic sound. Rosamel Island in the sun. 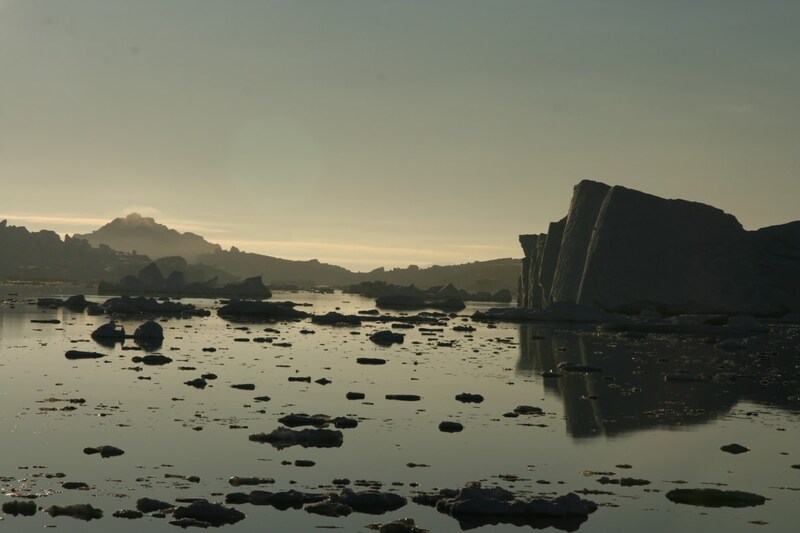 Before entering the Larsen area, we had some practical problems: we were really stuck in the ice! So Polarstern was working hard to break the ice: first going into reverse, followed by a full-speed forward collision course and a large bang, after which the ship started sliding over a large piece of ice and finally sliding down again (while tilting a lot!). We had to break through 3 miles of ice, but this took us 2 full days! 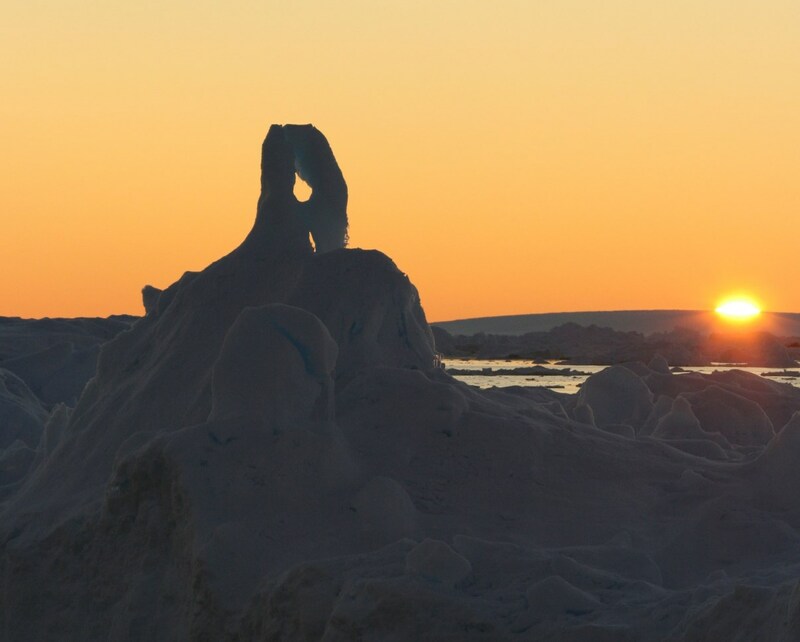 Sea ice in the evening sun. 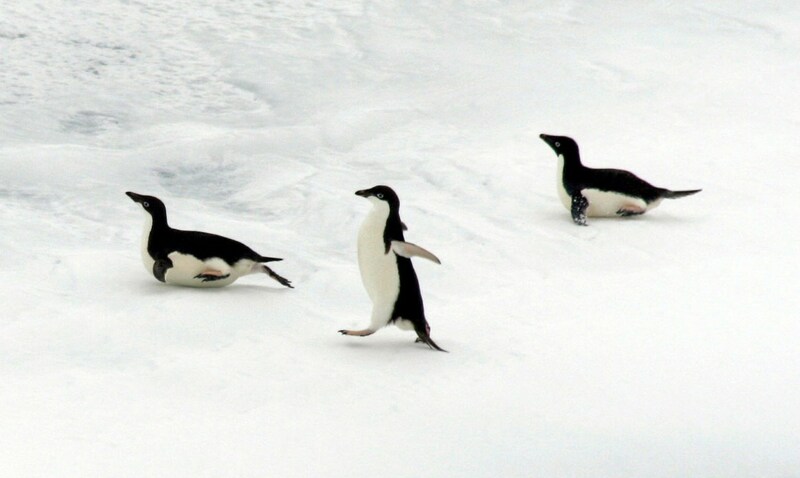 Adélie Penguins on the ice. Late night in Larsen A. In the last post about this expedition I will finally reach Chile, where I will stay for a few days until returning back home. Rosamel Island: on our way back.